Up your ante! 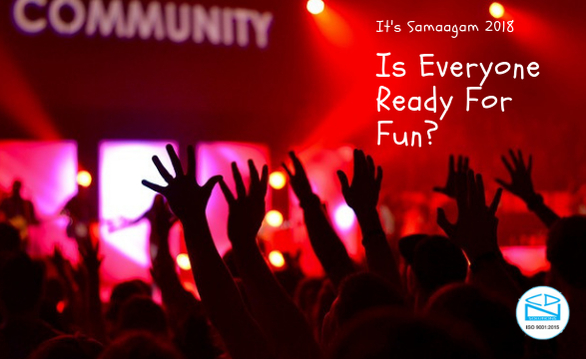 SAMAAGAM 2018 is almost here and CDN team is more than excited for the 18th annual event. SAMAAGAM, the word itself means gathering, where everyone takes part in events and exchanges their ideas. Since 2000, CDN Solutions Group have been celebrating SAMAAGAM with full energy and enthusiasm, and this time the excitement, energy, and ideas are making us all crazy! After all it’s the 18th annual event gonna held at Sayaji, Indore on Dec 14th, 2018. SAMAAGAM, a Confluence of Brilliance, Intellect & Youthfulness. It not just gives us all a chance to gather but promotes togetherness, creativity, and more focused team. In fact, every event in CDN has made us more organized and empowered. This clearly highlights that events keep employees happy resulting in improved performances and reduced stress. It’s the best way to keep employees motivated by showcasing their talents. We have a lot of plans to make this event a “can’t miss” one. CDN family is growing bigger and we have multiple plans to make it even stronger. As expected, we have received multiple participation helping new members in gelling together. Countless creative suggestions are the outcome that we have received as a result of their engagement. We would definitely capture happy moments to share with you all. If we talk about the expectations, our team has overachieved it. We are receiving new and better ideas every day. The culture of CDN releases so much of positive energy that even the participation rate is also increasing day by day. People are overwhelmed to perform multiple activities including volunteering. So now we don’t have many expectations from the event but cheerful audiences and happy faces 🙂 ! We want the CDN family to enjoy to the fullest. What do the employees expect? Each year we award our employees for their achievements and performances to showcase their importance. So, this time as well they are expecting to get the recognition they deserve. Few of the categories would be Star of CDN, Best Team, Best Department, and Years Completion in CDN. Not to miss, they’re also expecting best cuisines at SAMAAGAM night. 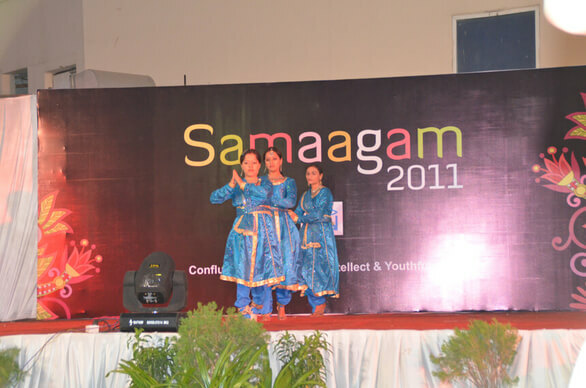 In 2009, we celebrated SAMAAGAM on Dec 5th by performing various activities. 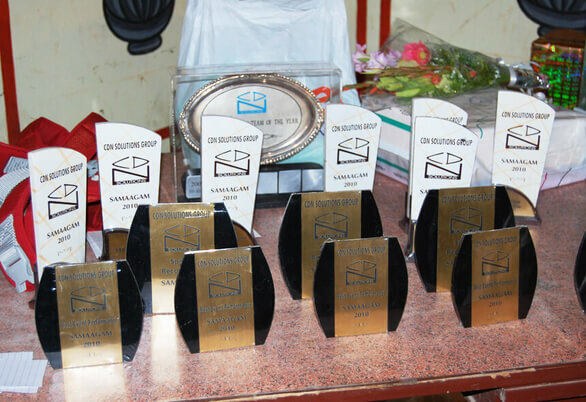 We distributed multiple awards including– Star CDN, All-rounder award, Employee of the year, Best team and more. 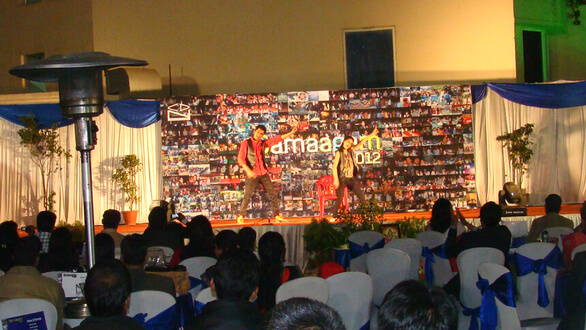 In 2010, we celebrated SAMAAGAM at Chokhi Dhani, Indore on Dec 11th. 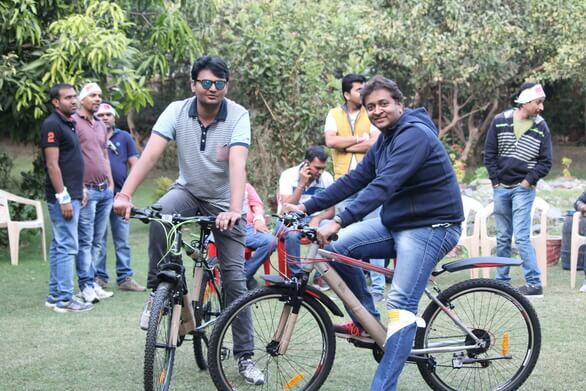 The team performed various activities like dance, mimicry, acting, singing and even games. We awarded our employees with following titles- Star CDN, All-round technical support, CDN all rounder, Employee of the year, Team of the year, Best performance and more. In 2011, Sayaji, Indore was the event spot. 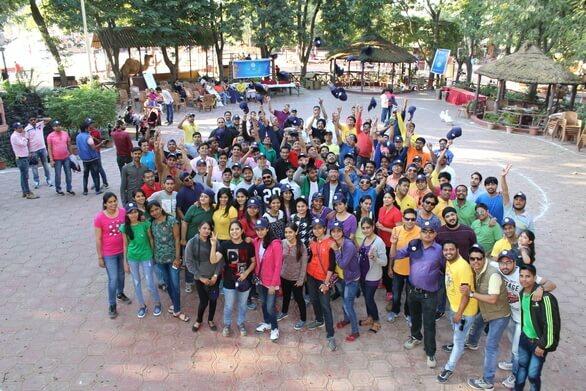 The team showed active participation in games and activities. That time we added a new award to the list– Long-term association award. In 2012, Being convinced by the ambiance, we had our annual event again at Sayaji on Dec 15th. We awarded our employees for their valuable contribution. Best team of the year was awarded INR 51,000 as a token of appreciation. In 2013, on Dec 23rd, we celebrated our annual event at Somanipuram. We divided CDN team into 4 groups and they performed multiple activities as a team. The treasure hunt was one of the best activities. The winning team was awarded INR 31,000 and wrist watches. Runner-ups were also awarded with goodies. 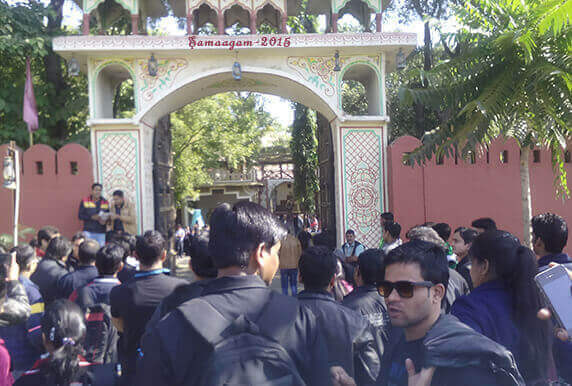 In 2014, Dec 23rd was our SAMAAGAM day at Flames of Forest. 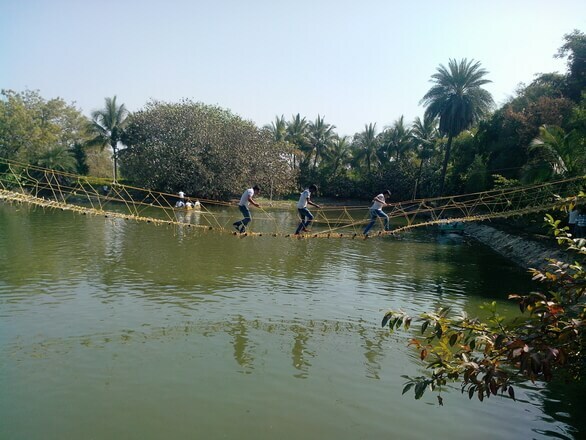 There we performed several physical activities like flying fox, boating and much more. The winning team was awarded INR 50,000. An instant award of INR 5000 was also announced to the person who did the best coverage of the complete event. In 2015, we spotted Chokhi Dhani again for SAMAAGAM on Dec 19th. We loved the ambiance and ethnic Rajasthani cuisine. We felt we were actually on the land of deserts, Rajasthan. In 2016, Amazed by the ambiance at Chokhi Dhani, we decided to celebrate the event at a similar location- Nakhrali Dhani. In 2017, fulfilling our employees’ demand, SAMAAGAM held again at Somanipuram on 2nd Dec. CDN team performed a lot of fun and sports activities there. 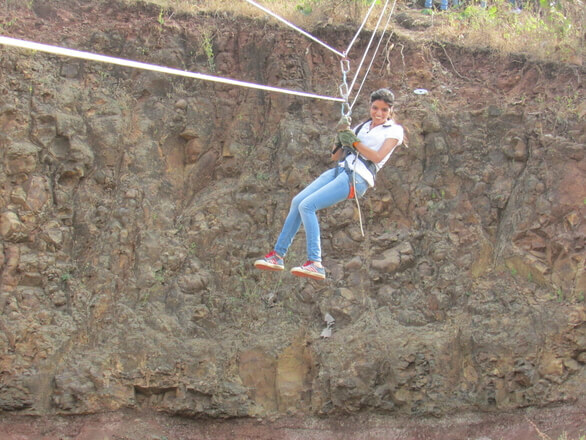 The list includes – Bungee jumping, Archery, Flying fox, Boating, Water rappelling and many more! We at CDN don’t think that annual events are not necessary and can be chopped from the budget. Instead, we consider it an investment. No matter large or small, every company could benefit from such events. So stay tuned until we’re back with SAMAAGAM 2018 updates!